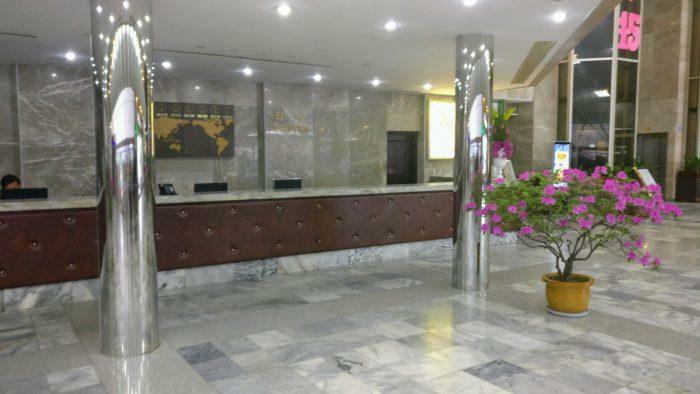 Hotel Review: Yanggakdo International Hotel, Pyongyang. 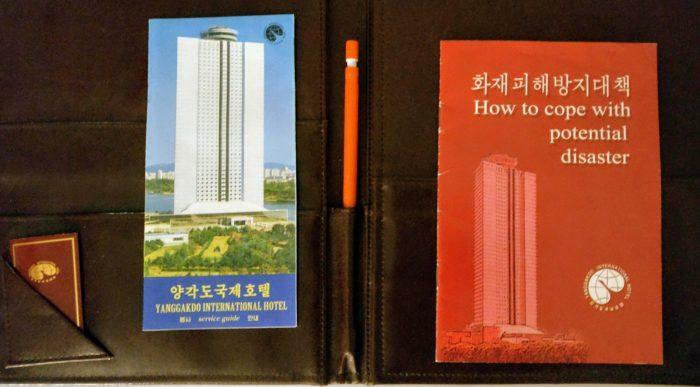 When it comes to staying in Pyongyang, hotel options are limited. Just a handful of hotels are available for tourists and the Yanggakdo is one of them. 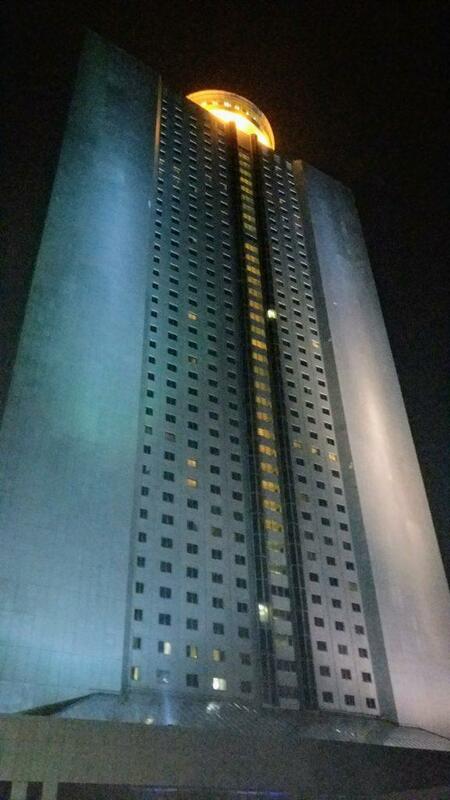 The Yanggakdo International Hotel is the largest operating hotel in North Korea, offering about 1000 rooms in 47 storeys. With a height of 170 meters, it is the second largest building of the country, after the Ryugyong Hotel (unfinished and with no foreseeable opening date). The Yanggakdo was built between 1986 and 1992 by a French developer, and opened to the public in 1995. 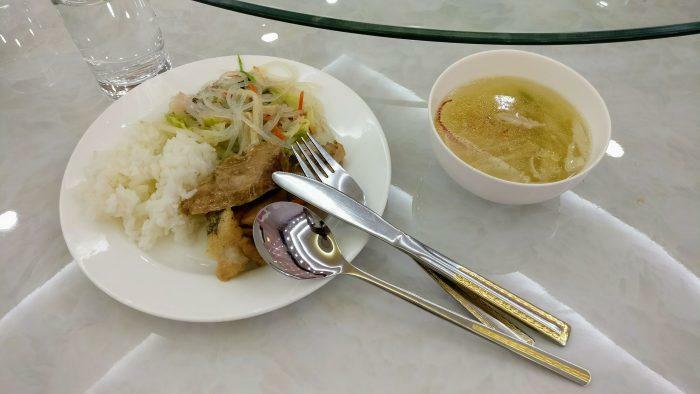 You can access my review on Air Koryo here. The Yanggakdo is a concrete block difficult to miss. 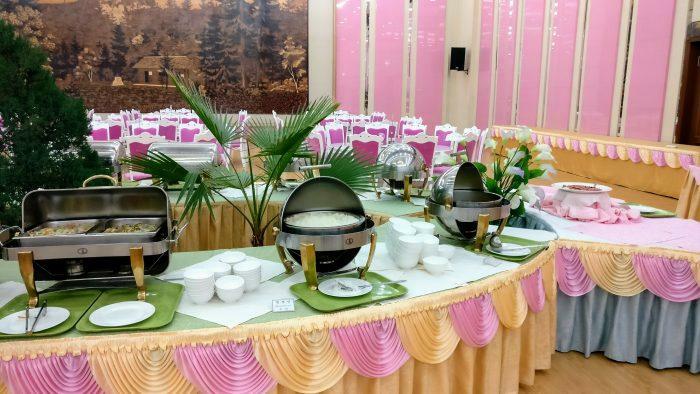 Located on an island on the river Taedong, about 1 km away from the city center, and with no other buildings or structures of similar height nearby, it is easy to spot from afar. 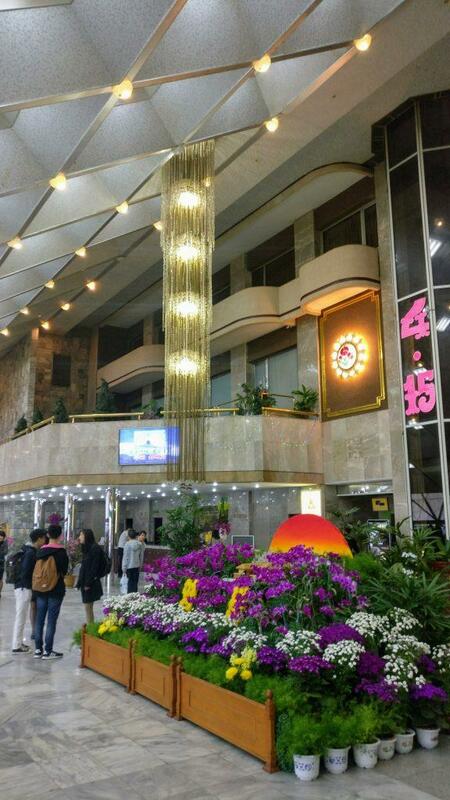 The lobby is a large space full of marble, crystal, gold and shiny objects. And super retro furniture. 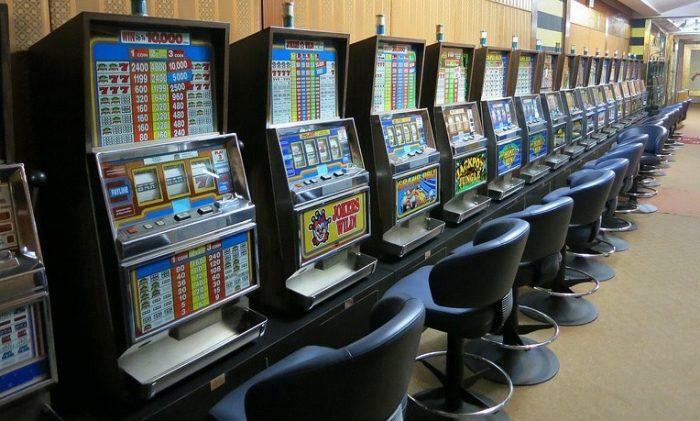 Something like Atlantic City meets the 70s, that kind of trashy-retro over the top look. I can imagine that this property spends most of its days completely empty. Considering that the country receives some 2000 to 3000 tourists per year, it could probably host all-year round tourists for one night in its 1000 rooms. But that was not the case this weekend. The celebration of the 105th anniversary of their supreme leader called for a big influx of tourists (around 200), and also the promise of a major military parade attracted journalists and camera crews from all over the world. You could run into an improvised video edit room in many hallways. 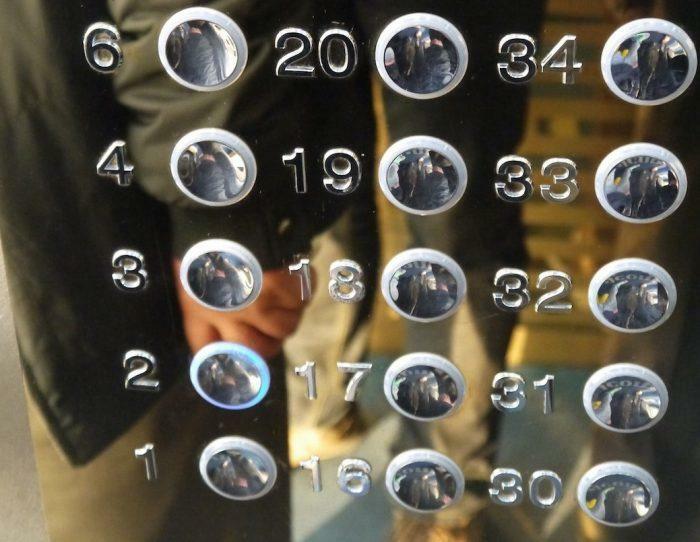 The hotel offered 8 elevators (2 of them panoramic) to move its guests between levels. None of them stops on the infamous 5th floor, off-limits area for tourists reserved exclusively for military use. 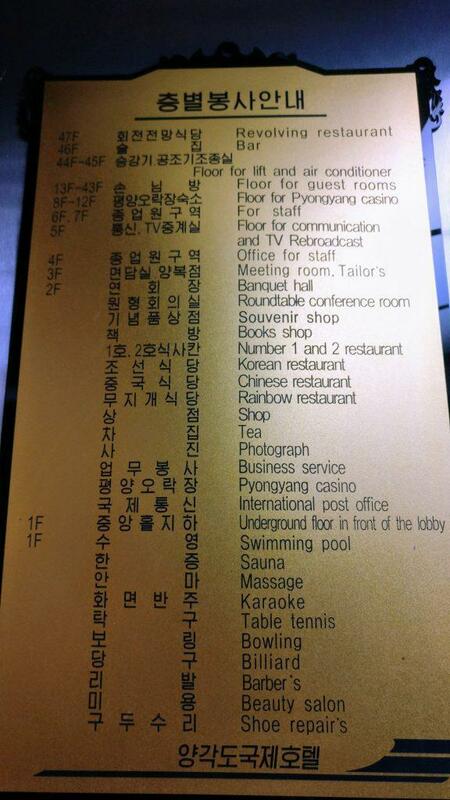 A placard in the elevator showing hotel facilities by floor indicated that 5th floor was reserved for communications and TV broadcast, but as I mentioned before, the international news teams had set up their edit units in hallways and empty rooms on the 2nd floor. Although this floor gets lots of attention from foreigners due to its secrecy, probably the best idea is to stay clear of it. Notice the lack of a button? The room we were assigned was a travel back in time. The room looked like a Motel6 in the 60s. Wooden radio console/night table, rundown carpets, old lamps. 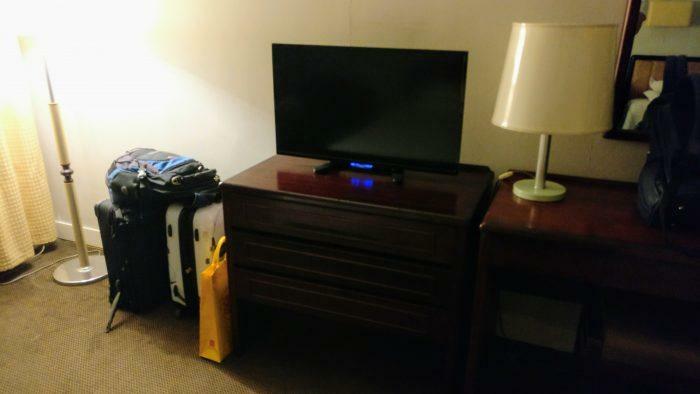 A small Chinese flat screen TV, a mini-fridge that didn’t work and a closet completed the room furniture. The lavatory was basic and clean. 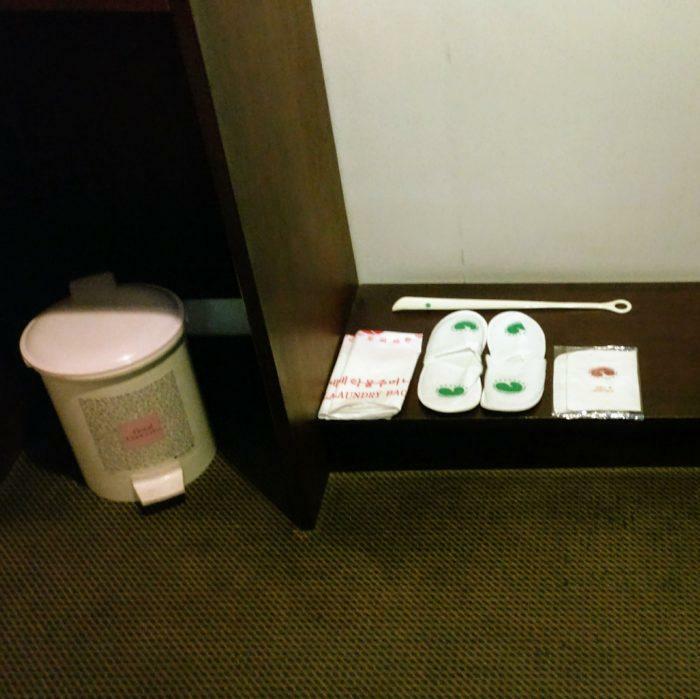 The hotel provided with basic toiletries and slippers. I brought my own toiletries anyway and I didn’t try the ones provided so I don’t have an opinion. Reading material in the room included a phone guide and a booklet on how to cope with potential disaster. Although the catastrophic title, the booklet did not deal with what to do in case of war, but with fire/earthquake situations (also valid disasters though). 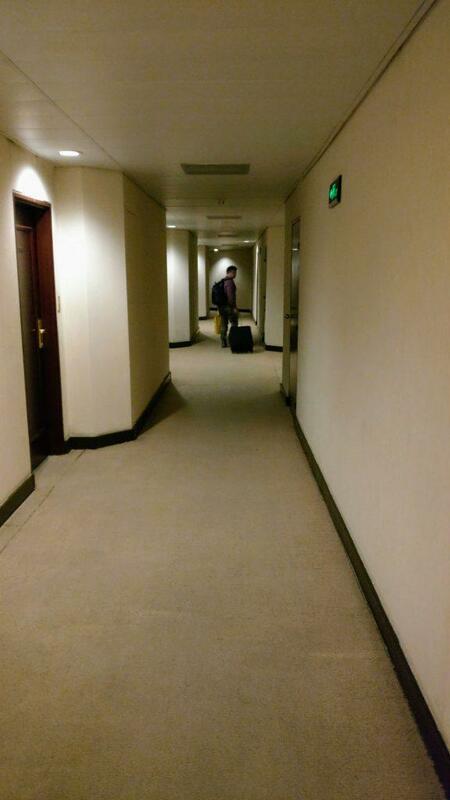 On the day of arrival, we had dinner in the hotel. 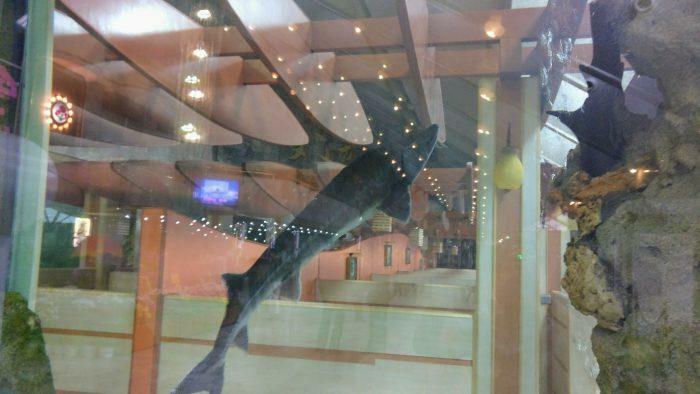 It was a buffet-style meal served in one of their banquet rooms on the 2nd floor. The colour and decoration choices for this room made me think of a quinceañera cake, multi-layered and over-decorated in pastel colours. 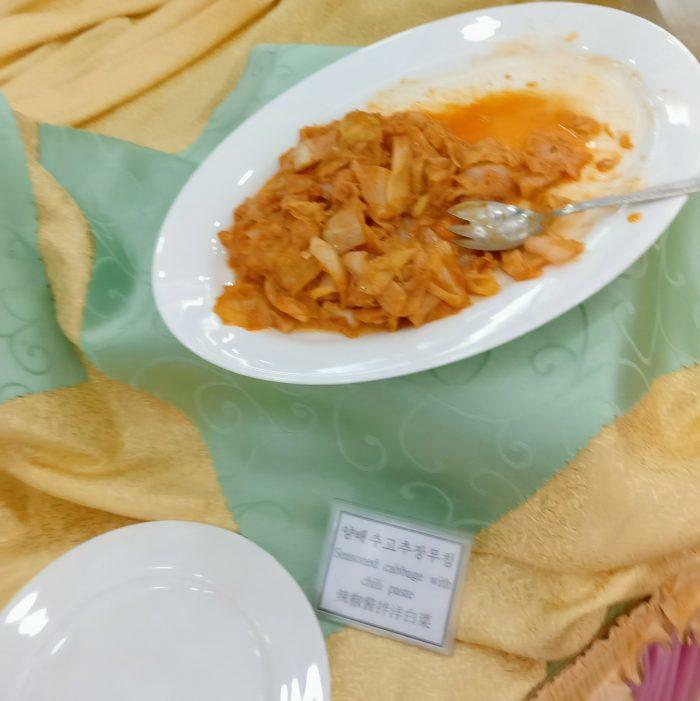 The food was OK, and the Kimchi was glorious (as it was all around the country). We had some local beers ordered from the waiter (CNY 20 for a 600 ml bottle). 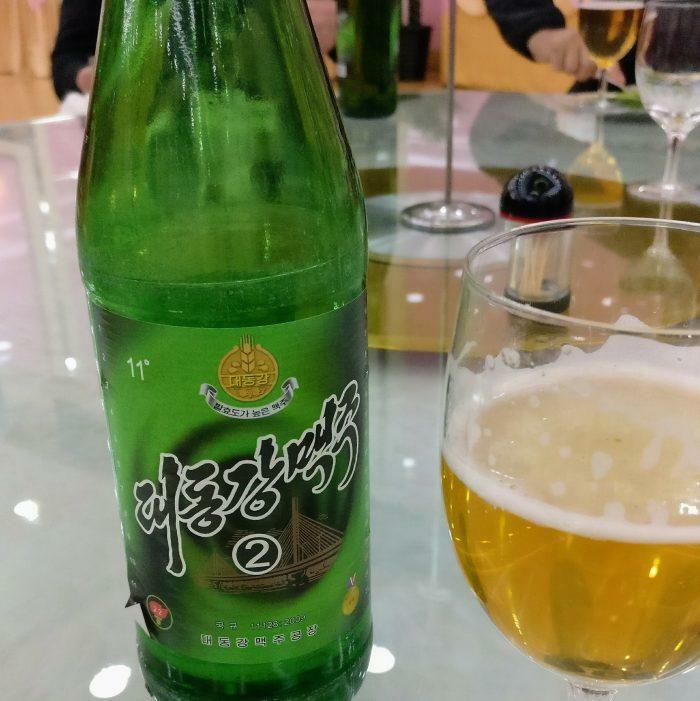 Later on we learnt that you could purchase the same beer at the gift shop for CNY 5, and bring it with you pretty much everywhere (inside or outside the hotel) as North Korea is an alcohol open-carry country. 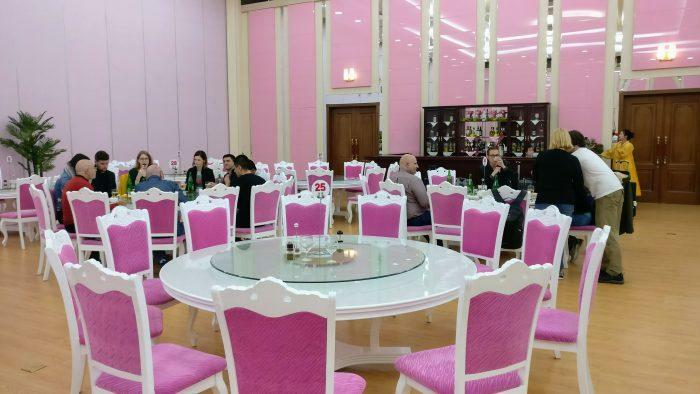 When you are in North Korea the chances of being able to go out of the hotel and explore the local scene are mostly non-existent. 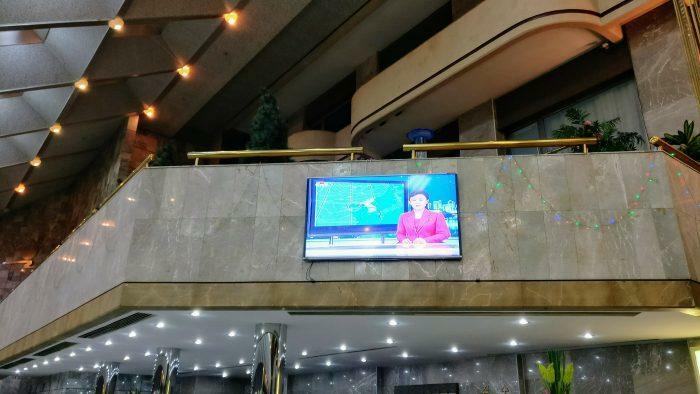 Pyongyang is earning some reputation for its breweries and local craft beers, but tourists have to resign themselves and rely on the entertainment options offered by the hotel. 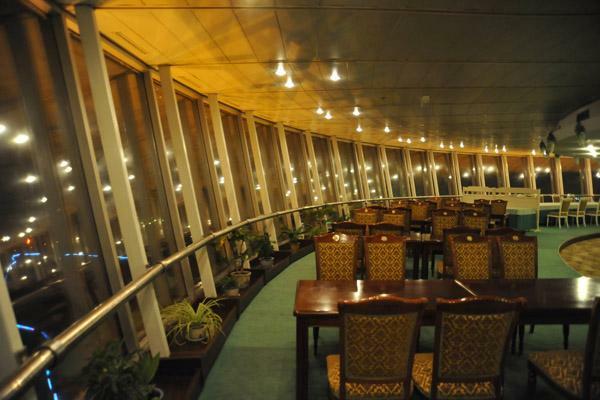 The Yanggakdo offers some late night options (usually open until 2 AM) on the 1st floor. 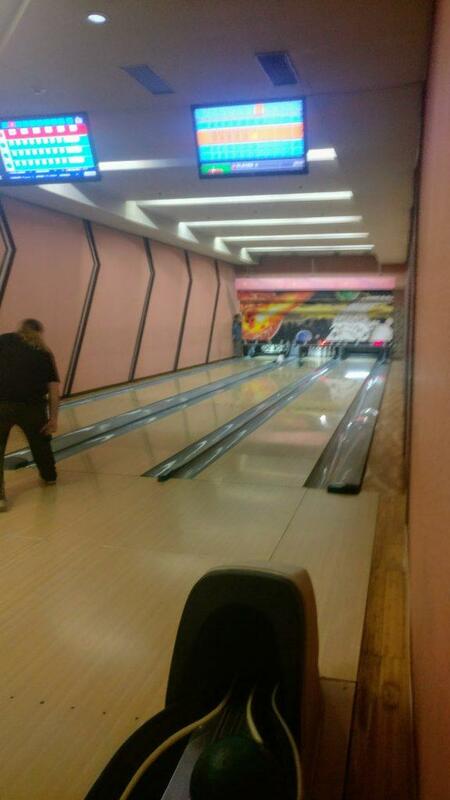 Facilities include a bowling alley, a karaoke bar, billiards, ping pong and a casino. Access to the pool/sauna area is not included, but they can be accessed by paying CNY 30. 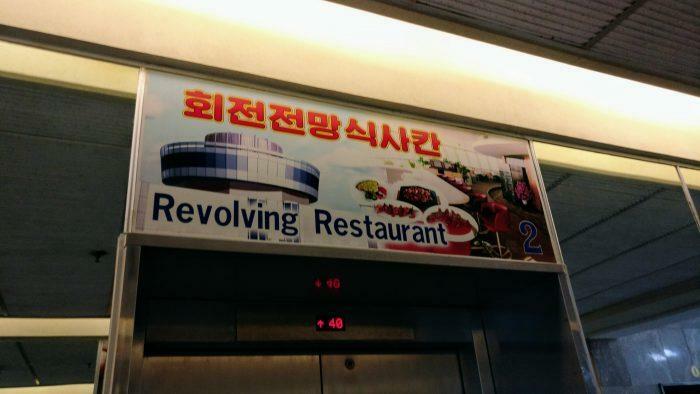 Also, on the 47th floor the hotel offers a revolving restaurant that never revolves, because power is a scarce, pricey and coveted commodity. Still, views from atop the building are impressive. Breakfast was also served every day at the same banquet room used for dinner on the day of arrival. 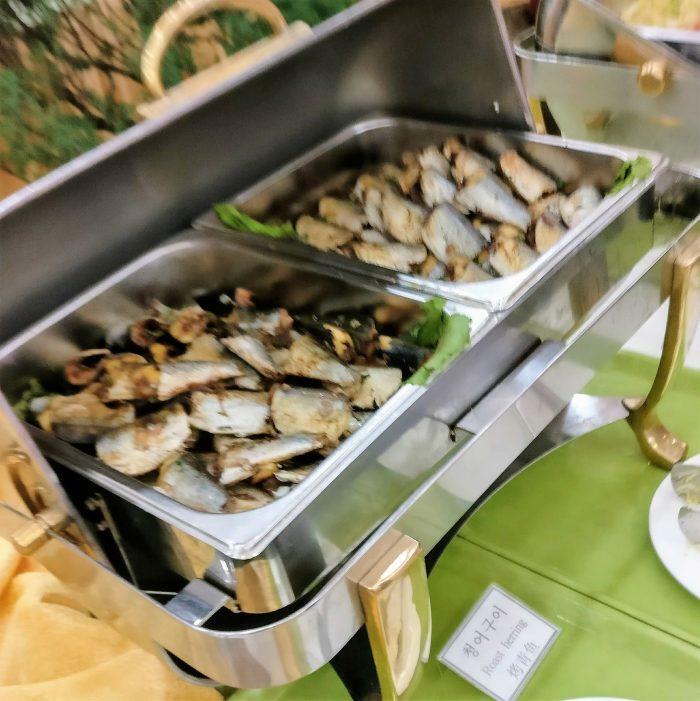 Breakfast consisted of an Asian-style buffet that rotated every day. The first day they had these amazing chicken cutlets that made a great sandwich with the light, sweet fresh buns they served. I craved these cutlets all the other days, where options were not as neat. 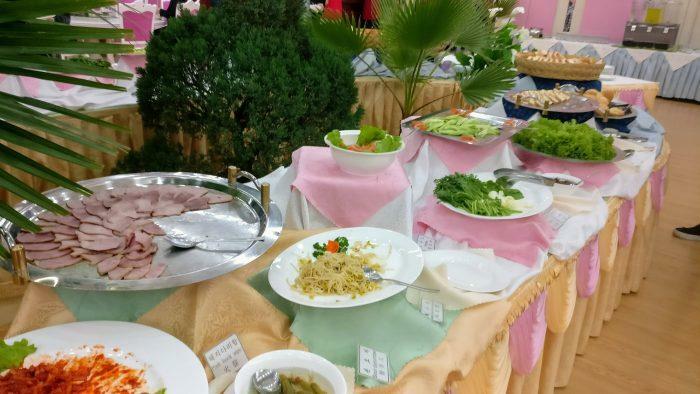 They also offered an egg station with omelettes (plain egg omelettes, no add-ons) or fried eggs, so egg sandwiches it was for me on the chickenless days. One thing I learnt during this trip: fresh fruit is not easy to get in this country, so fresh squeezed juices/smoothies don’t exist. North Koreans loosely use the term juice to refer to fruit sodas. Think of the weird flavours Fanta used to sell back in the 90s and that now come around during summer as ‘special editions’. 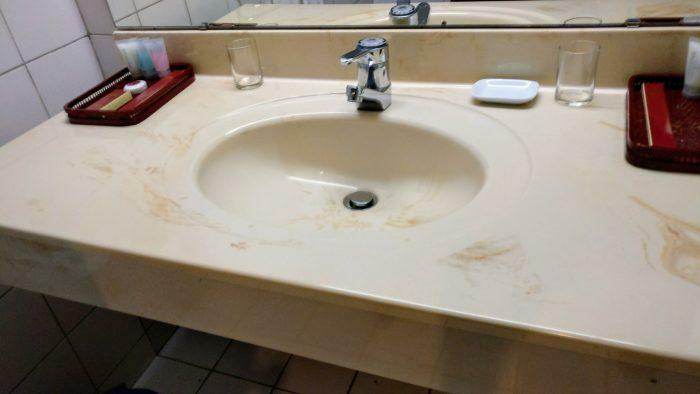 Rooms were clean and serviced every day. Beds were comfortable despite of the retro look. Hot water worked. We learned to have fun with the options given, especially with the CNY 5 beers from the gift shop. 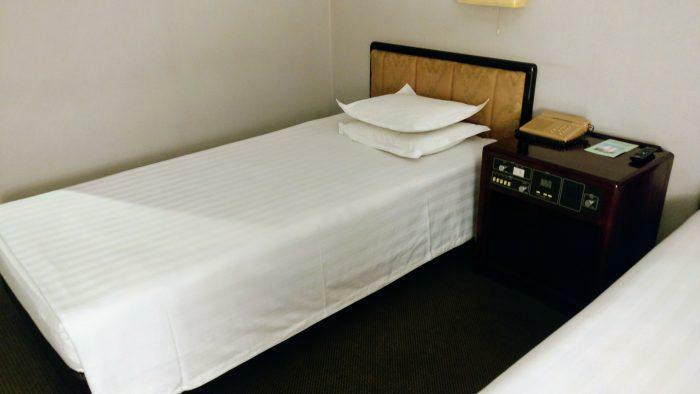 Of course this is not the luxury hotel the North Koreans want to boast about, but for sleeping after 14 hours of walking around it was just fine. I suspect the other hotel options available in town are no better anyway.